A Yale expert confirmed Tuesday that an object that crashed through a house in Wolcott Friday night was a meteorite. Larry Beck, of Williams Court in Wolcott, called police at 10:20 a.m. on Saturday and said a rock crashed through the roof of his house on Friday night and damaged the roof and copper piping, and cracked the ceiling in his kitchen. 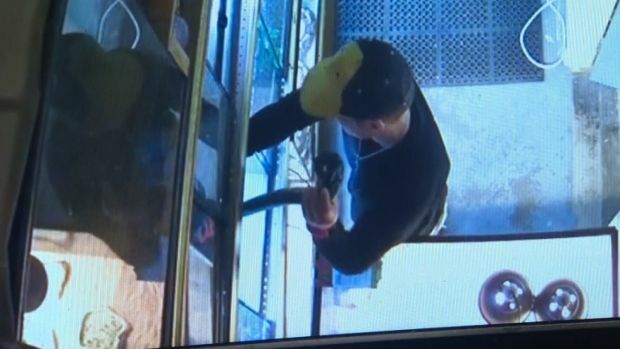 "All the sheet rock had broken apart and it was on the floor," Beck said. That was around the time that people from several towns along the shoreline called police and reported a loud boom that rattled windows. Did Meteorite Cause Sonic Boom? 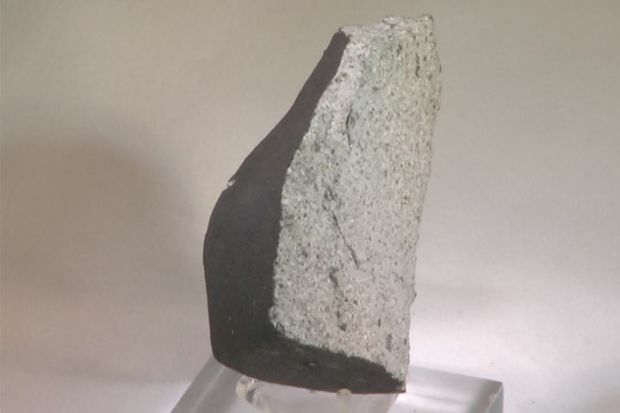 Scientists say the loud noise heard along the Connecticut shoreline Friday night could have been the result of the meteorite that crashed into a Wolcott home the same night. Beck told police that he’d heard a loud crash and thought that a joist or rafter had broken. When he checked the attic on Saturday morning, he found a hole in his roof, damage to the pipes and rock broke in half in the attic, police said. "As I'm crawling across, I say 'honey, I can see some daylight coming through the roof," Beck said. At first, police thought the rock was a broken piece of airport runway concrete that had dropped from a plane when landing gear was being lowered, because Beck said that there is a lot of overhead airline traffic at all and Bradley Airport and Oxford Airports are nearby, police said. Officials contacted the New England Regional Office of the Federal Aviation Administration and arrangements were made to have someone from the FAA view the rock. Beck also contacted a local meteorolgist about the rock that crashed through his roof. John Bagioni, who owns Fax-Alert Weather Service, LLC in Burlington, immediately thought the rock might be a meteorite. The description of the rock, coupled with reports of a loud boom across the state around the time the rock struck the home, lead Bagioni to his conclusion. 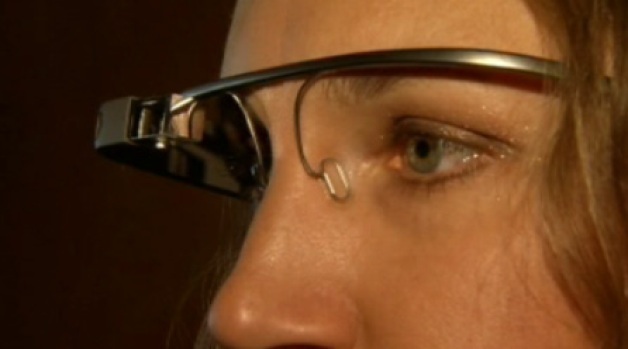 The much-anticipated glasses from Google are available for a select amount of people. NBC Bay Area tech reporter Scott Budman gets a sneak peak at what's to come. Bagioni contacted NBC Connecticut meteorologist Ryan Hanrahan Monday afternoon about the discovery in Wolcott. On Monday, NBC Connecticut contacted police about the possibility of it being a meteorite and police said they were made aware that a meteor shower had taken place on Friday night. Bagioni said he was called in to help check out the specimen and his opinion is that this appears to be a Chondrite meteorite. After examining the object on Tuesday, Stefan Nicolescu, the collections manager for the Mineralogy Division at the Yale Peabody Museum confirmed it was in fact a meteorite. We are toward the end of the Lyrids meteor shower, which happens every year between April 16 and April 26, when Earth crosses the orbit of comet Thatcher, according to Nicolescu. The first recorded meteroite in the New World fell in Weston, Connecticut in 1807, according to the Peabocy Museum Web site. There were reports of loud explosions from more than 40 miles away and fragments of stone fell in at least six places. Hundreds of meteorites fall to earth each year, but only five to 10 were immediately recovered, according to the Peabody's Web site on Meteorites and Planetary Science. 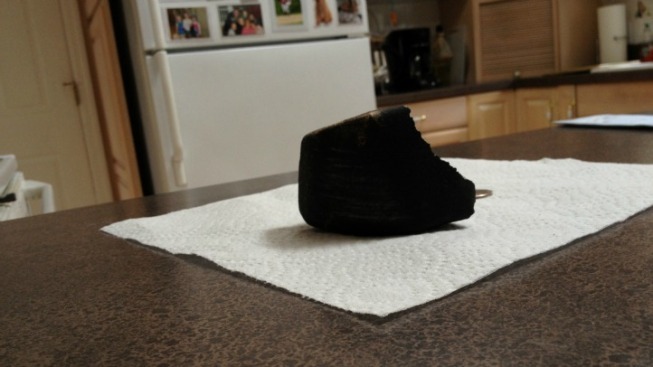 Two meteorites also fell in Wethersfield, hitting two houses a mile and a half apart over an 11-year span. A piece of rock (smaller than an asteroid) floating in interplanetary space is called a meteoroid. If a meteoroid makes it through the atmosphere and hits the ground, it is called meteorite. A meteor is a streak of light left by a small (pebble sized or smaller) particle as it enters the atmosphere = “shooting star”; being so small, the particle is completely “digested “ in the atmosphere; meteor showers occur when Earth crosses the orbit of a comet. .